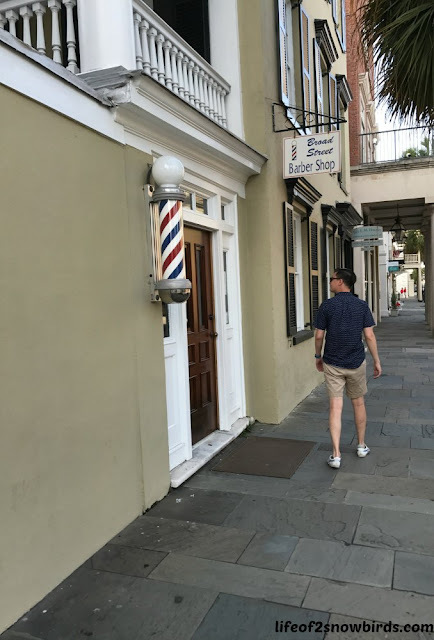 Day 2 - Our second day in Charleston, SC started off at a slower pace than Day 1 because our daughter-in-law, Nicole, had some work to do in the morning. Our son, Joe, had a scheduled call with a client later in the afternoon but assured us that he could take the call while we were out. Laptops and cell phones are great inventions and essential to life these days but it means there is no vacation from work anymore. The kids are used to it though and oftentimes they earn a vacation day back. I keep forgetting they are "at work" and talk to them. They are very patient with me but I'm sure that I make their work days longer! 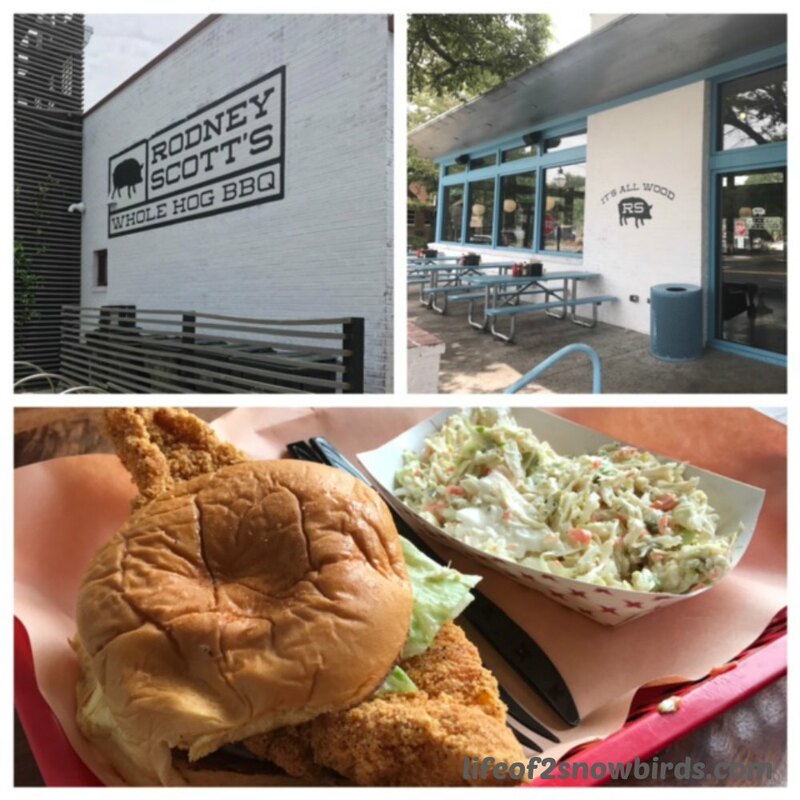 The first thing on our agenda for the day was to eat lunch at Rodney Scott's BBQ. Joe and Nicole had first heard of Rodney Scott when he appeared briefly on Anthony Bourdain's Parts Unknown. Rodney Scott is well known in BBQ circles and Bourdain says "sought after world wide for his whole hog barbecue." Scott cooks his hogs slowly, which means all night in the pits for 12 hours. 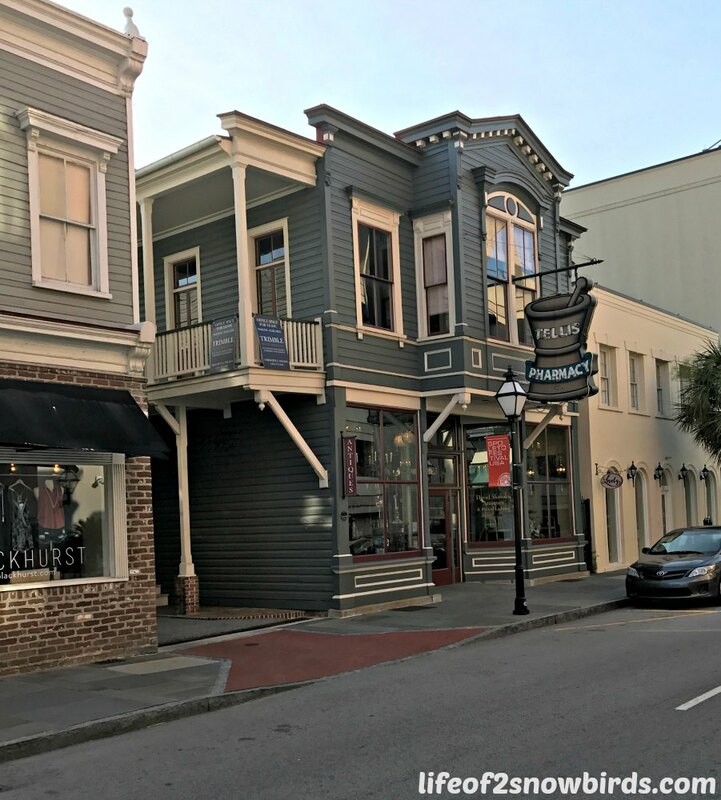 Scott recently left his dad and son in charge of the family's place in Hemingway, SC so he could open up shop in Charleston. Walking up to his restaurant was not what I expected. It looks like your typical fast food place. You look up at the menu above the cashiers and order your meal. But take one bite out of your smokey, juicy sandwich and you know this is not fast food. Me and Nicole had the Fried Catfish Fillet and Soko and Joe had the Whole Hog BBQ sandwich. We all chose a different side but, of course, had to pass them around so we could try a bite of each one. We chose mac & cheese, hush puppies, cole slaw and baked beans. Scott makes the traditional North Carolina barbecue sauce which is a thin vinegar based sauce. He says that mustard should only be put on a hot dog so he doesn't make the traditional South Carolina mustard based sauce. 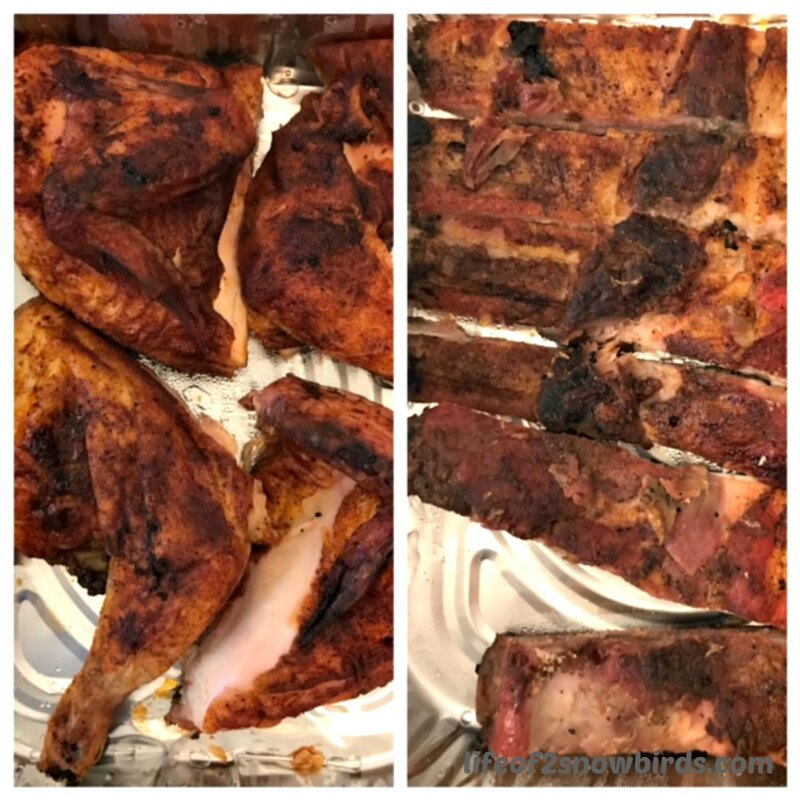 We were stuffed but really wanted to try the barbecued ribs and chicken so we decided to order them as take out and warm them up later in the kitchen of our airbnb. We caught a glimpse of Rodney Scott when he briefly made an appearance in the dining area but we weren't able to get our phones out quick enough to get a picture. I heard afterwards that he will take a picture with you if you ask. So nice! We will have to go back one day for more of the amazing food and maybe a picture next time! After our delicious lunch it was time to enjoy nature at Magnolia Plantation & Gardens. 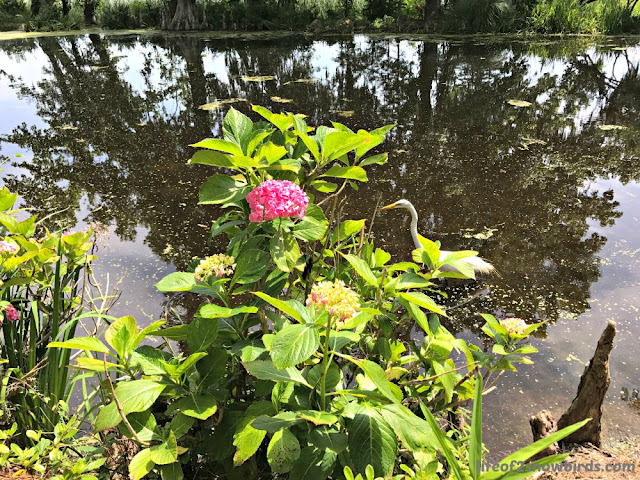 It is one of the oldest public gardens in America opening up in 1870 for all to appreciate. Their claim to fame is their selection by Travel & Leisure Magazine as one of "America's Most Beautiful Gardens". It cost $15.00 each to get into the gardens. 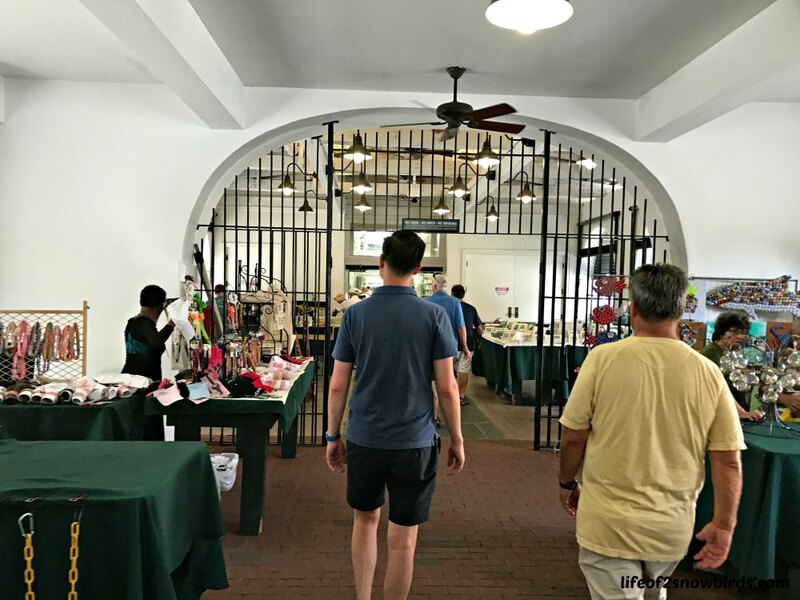 If you wanted to take a ride on the Nature Train, do the House Tour, take the From Slavery to Freedom Tour or Nature Boat ride you would pay extra. We decided to walk the gardens, which included a petting zoo, and then decide if we wanted to do anything else. It was very calming taking the leisurely walk along the garden paths which were numbered, so very helpful for navigating the gardens. We saw all kinds of animals along with flowers, trees, shrubs and even bamboo. The gardens are not formal. They are kept in a more natural state. Midway through our walk we came upon a turtle who was digging a hole near a tree. We stood there watching him take his right foot, put it in the hole to dig out some dirt then take his left foot and dig with that one. He kept alternating between his right and left foot and the hole got to be about three inches deep. We were fascinated because we had never seen a turtle so active before. "What was he doing" we wondered? We took pictures and a video. We left the turtle to check out a wooden tower that was two stories high. It looked out over a few acres of marshland. The tower was a little shaky so we didn't stay up there too long. 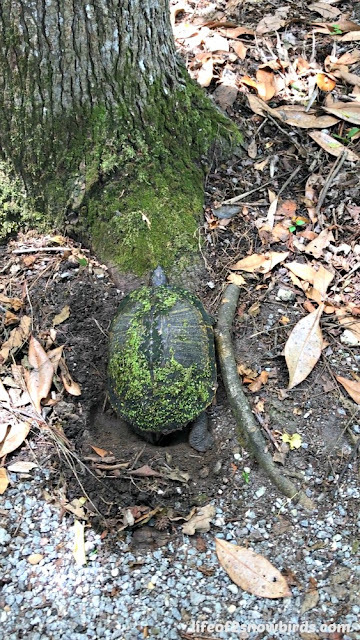 Before we left the area we backtracked along the garden path to take one last look at the turtle and then we saw it. 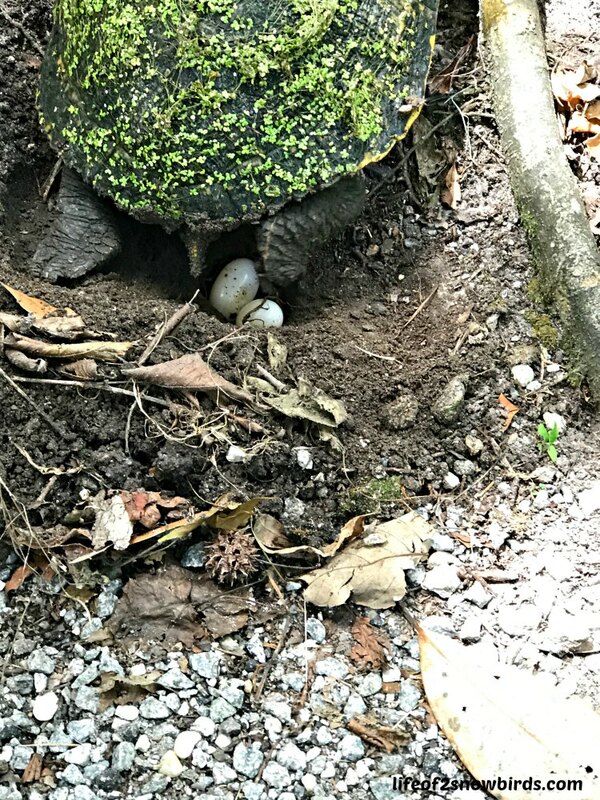 She, not he, was laying her eggs! It was so incredible! We couldn't believe how lucky we were to be witnessing such a special event! It was amazing! Before we left Magnolia Plantation we stopped at their petting zoo. 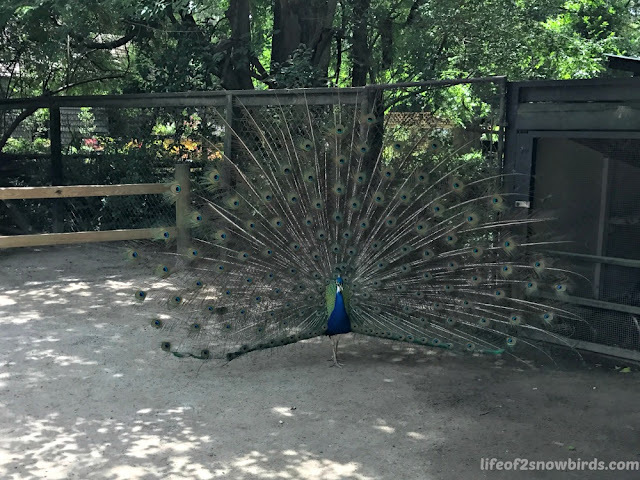 Most of the animals were roaming freely around the zoo. We fed the goats and watched the peacock trying to get the attention of the peahen. She was not interested! We had seen a lot on our walk through the gardens so decided not to do any of the other tours. We also were getting hungry for the ribs and chicken we knew were waiting for us at the airbnb. The ribs and chicken were what you hope to get when you are hungry for barbecue for sure. It took me awhile, (we've been living in NC for 1 1/2 years now) but I am now starting to really like the NC style BBQ sauce, and especially loved Scott's. It's totally different from the thick, sweet BBQ sauce that I was used to having in NY. After dinner we were ready to explore the downtown Charleston area. Our airbnb was only about a 15-20 minute walk to downtown. Since we wanted to have an after dinner drink this worked out perfectly. No need to decide who the designated driver would be tonight! We wound up at The Rooftop Bar at Vendue. We enjoyed a great view of the city while we had our drinks. After drinks we headed for the Charleston City Market. It spans 4 blocks and there are over 300 local merchants selling their wares. We saw lots of basket weavers weaving amazingly beautiful baskets. You can also find certified authentic, 100% made in Charleston items here. From the market, we walked to the French Quarters where most of the buildings had historical markers on them in this old section of town. Among the beautiful old buildings is St. Philip's Episcopal Church. It was built in 1836. It was designated a National Historic Landmark in 1973. Rainbow Row, a couple of blocks south of the French Quarters, is not to be missed with its colorful row houses. 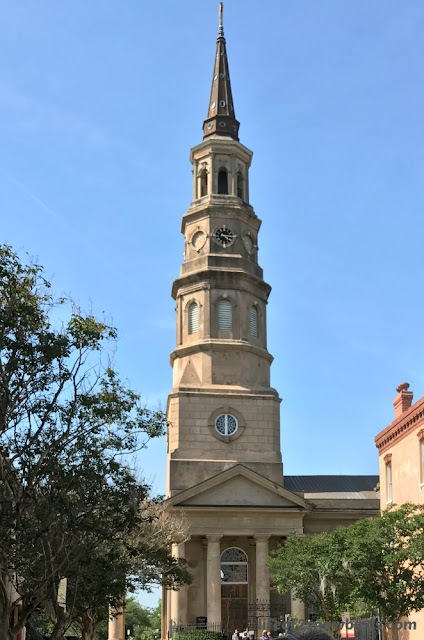 Go to Charleston, SC if you ever feel like you want to travel back in time. 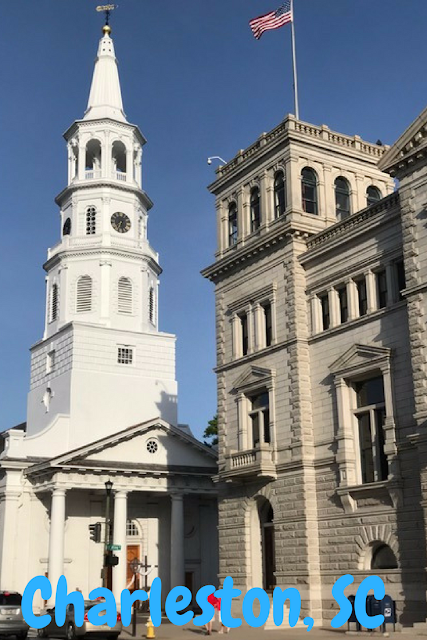 Charleston has all the southern charm that we would hope for when visiting the south. There was so much to see, do and eat that we couldn't do it all in two days. We hope to return someday soon! 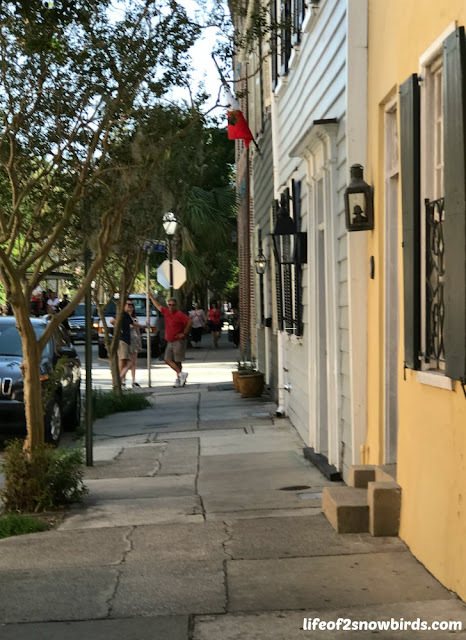 Charming is the perfect way to describe Charleston. 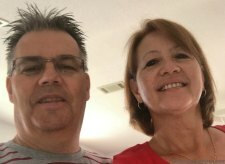 Thank you for hosting your party each week! I love it, it's like going back in time. Not because of the historical architecture, but because I lived in Goosecreek for a bit. 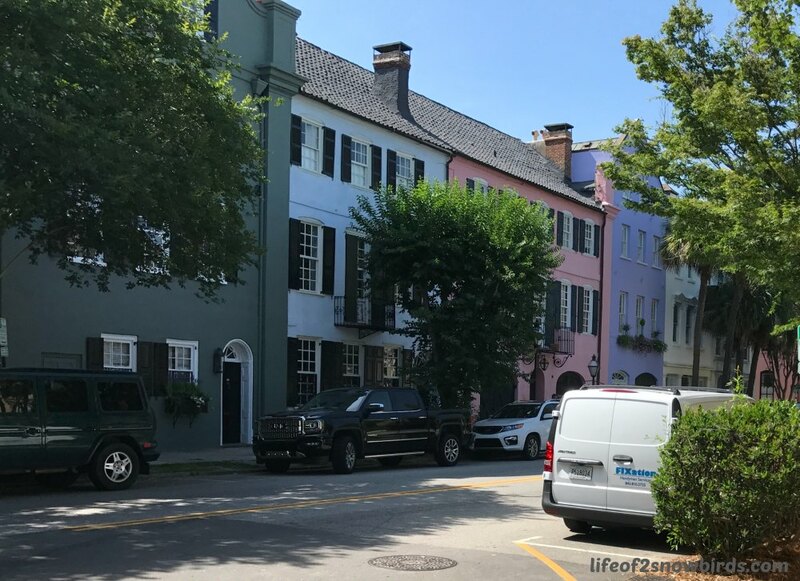 I loved Rainbow Row, it as such a sweet street to stroll down. Thanks for bringing back some great memories! You were very fortunate to have lived in such a charming area! One of my fav places to visit! Love that roof to bar! Been there a couple of times.Thank you for sharing on Merry Monday! Hope to see ya next week! Yes. The bar was such a nice place to relax while enjoying an awesome view. Thank you for having me at your party! 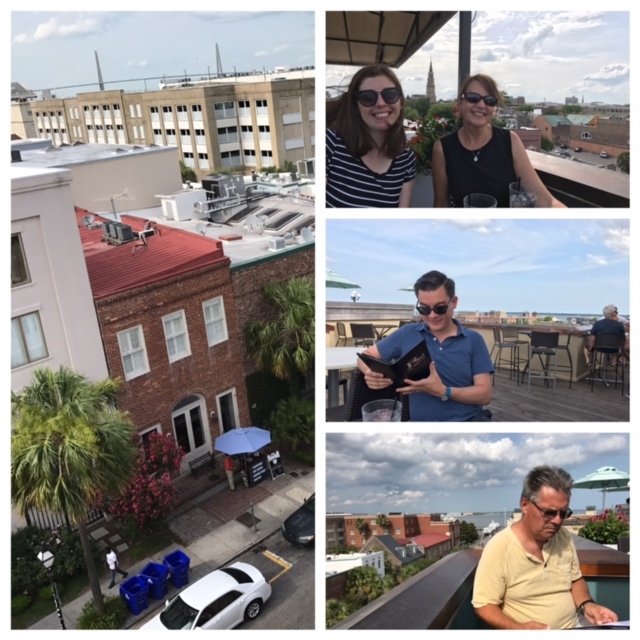 Great pictures and recap of your time in Charleston. The Vendue is my favorite place for a drink. The view is awesome. Thanks for sharing at Brag About It. Pinning to my travel board. Thanks for pinning and enjoy your drink at the Vendue! Charleston is on my bucket list! Pinning for later! 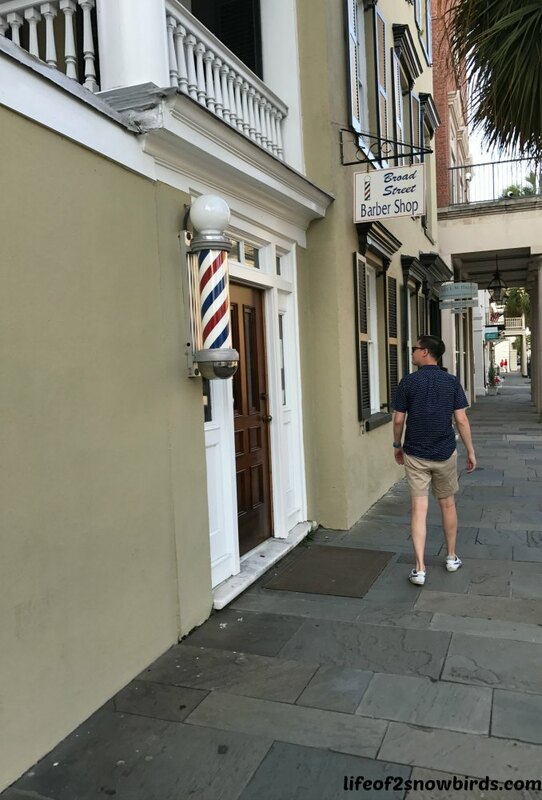 Hope you get a chance to visit Charleston soon! What a really lovely place, I'd like to eat that BBQ right now I'm starving! Thanks for linking up. Hahaha! The BBQ was really delicious! You were lucky to live so close to Charleston. I would love to visit Savannah one day. I heard that was a nice city also. It's a wonderful city. 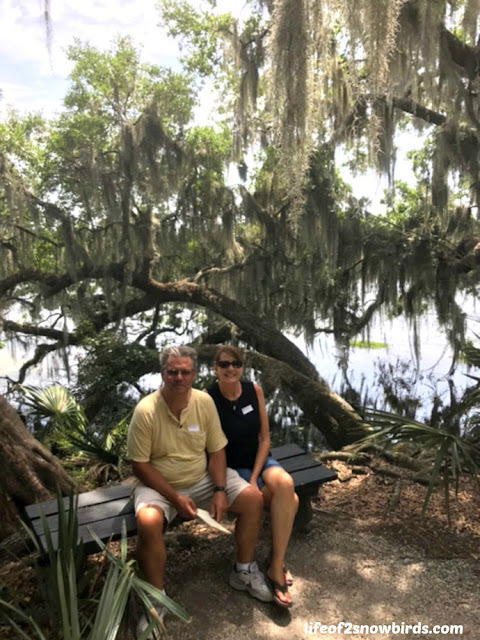 Hope you have a nice time on your visit and enjoy Rodney Scotts! I have to agree with your friends that Rodney Scott's is one of the best BBQ places around! Charleston looks fabulous. I haven't been since the 1990's with my parents, but do remember it being absolutely charming. Thank you for coming to Fly Away Friday! See you tomorrow! Yes. It seems like Charleston is getting popular and I definitely can see why!